The distribution of AR-EcoScreen requires a MTA between user and developer/depositor. This form will be sent to users from Cell Bank upon request of distribution. For the usage of AR-EcoScreen in profit-making organization, the developer will request them a fee/year as the cost for maintenance and presearvation of AR-EcoScreen cells of his own stocks. 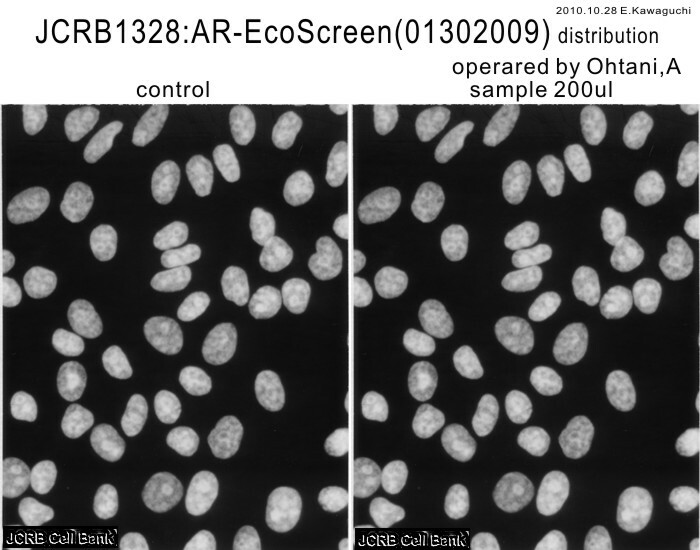 AR-EcoScreen is for evaluation of a rapid in vitro androgen receptor tarnscriptional activation assay. 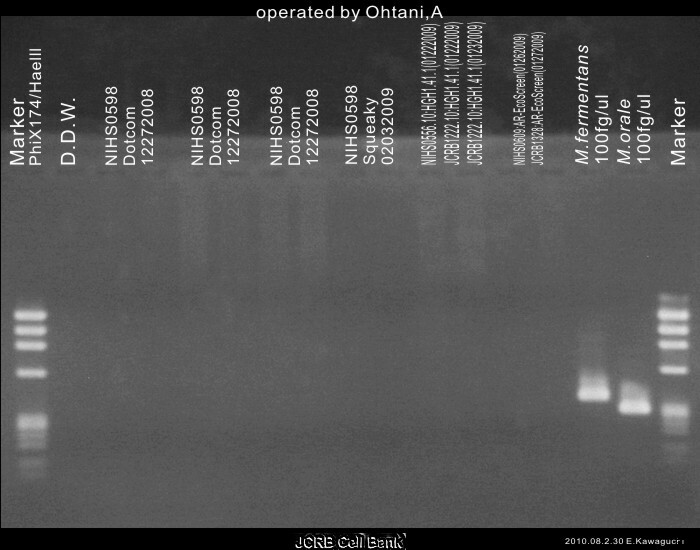 This cell is that stably express human androgen receptor, reportor gene (androgen response element linked to luciferase), and Renilla luciferase gene. 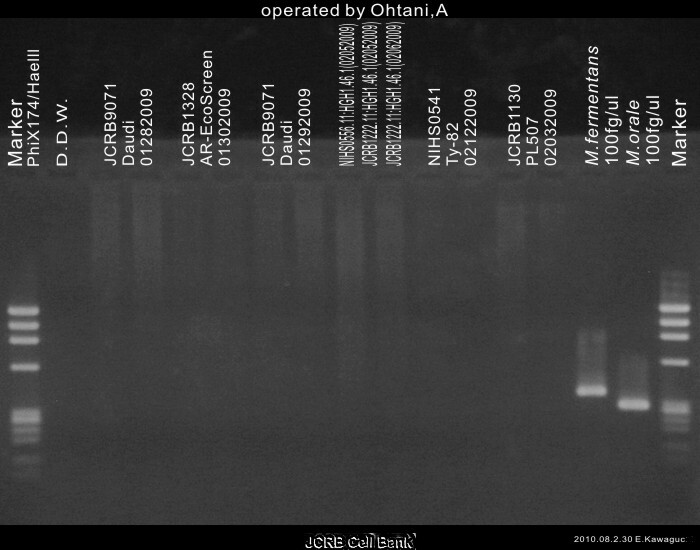 Evaluation of a rapid in vitro androgen receptor transcriptional activation assay using AR-EcoScreen cells. 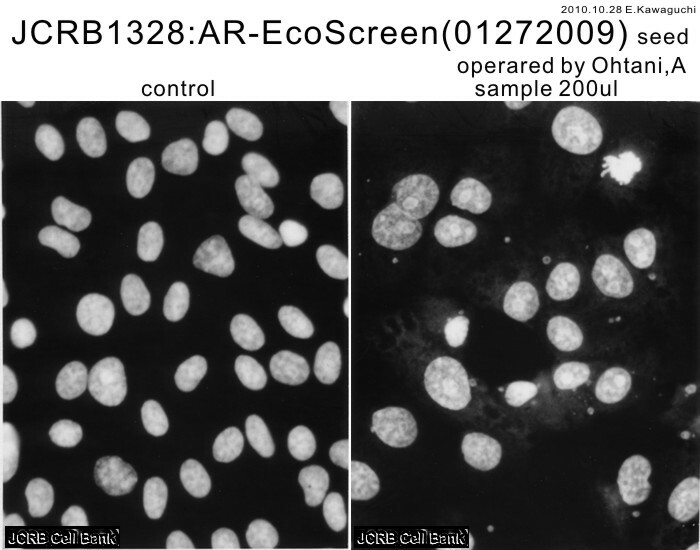 Screening for androgen receptor activities in 253 industrial chemicals by in vitro reporter gene assays using AR-EcoScreen cells. Study on anti-androgenic effects of bisphenol a diglycidyl ether (BADGE), bisphenol F diglycidyl ether (BFDGE) and their derivatives using cells stably transfected with human androgen receptor, AR-EcoScreen.